Several choices exist for this loop. A connecting multi-use trail adds distance and challenge while Fitness stations on this World Trail Fitness Course are found along the linear path. Log In or Register to favorite trails and keep track of your walks! 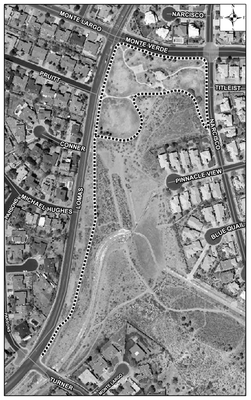 Embudo Hills Park is a grade 2 [?] trail with one loop for a total of 0.4 miles (850 steps).